EATING fact of the day: How you like them apples? Workers in Chinese apple orchards earn a daily wage that their counterparts in the orchards of Michigan earn in 10 minutes. This and the lack of environmental regulation in China is why 75% of apple juice concentrate consumed in the U.S. is made from Chinese apples, and often have levels of inorganic arsenic higher than the FDA allows in drinking water. My Minute Maid apple juice (right) may contain juice from apples from China, USA, Chile, Turkey, Germany, Austria, and Argentina. Where are you drinking? Learn more in WHERE AM I EATING? 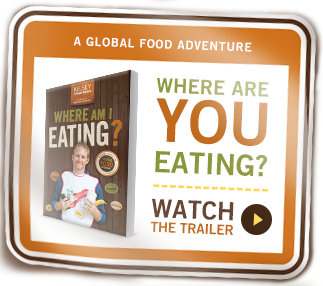 AN ADVENTURE THROUGH THE GLOBAL FOOD ECONOMY…. Budweiser: It’s the King of Beers. Good thing, too, because if the beer world was a democracy, we’d surely elect another, better-tasting, beer to be our leader. But, alas, Budweiser is American as Levi’s (made in Cambodia) and Coca-Cola. In places like, China it is imported. Yes, China sends us computers and we send them our subpar beer. What the strangest place you’ve seen someone chugging a Bud? Somewhere along the line aid has become less cool. Everyone is all about teaching a man to fish, not giving him a fish. Everyone is all like trade and not aid. I’m guilty of this too. (See my give a man a job making shoes not a free pair of shoes argument regarding TOMS.) In response to this, Save the Children UK made a Monty Python inspired video about the not-so minor things aid has accomplished. It’s hilarious and gets the point across. Want to support smart aid? Be a smart giver. Learn how here – here…. Who are you writing for? Why do you write? I’m assembling a League of Extraordinary Writers who want to improve their writing and make an impact in the Muncie community. Over the past few years, I’ve committed myself to helping local organizations tell and share their stories, but there are more stories than I can tell. I need help. I need you! University of Kentucky using WEARING! The University of Kentucky has announced the selection of WHERE AM I WEARING? as their 2013-2014 common read book. This means that all incoming freshman will read the stories of Amilcar, Nari, Ai, Arifa, Dewan, Zhu Chun, and all the rest of the amazing folks I write about in WEARING. I’m so pumped that I can almost forgive the Wildcats for beating my Wally Sczerbiak-led Miami Redhawks 58 to 43 in the 1999 Sweet 16.